Do you know the Advantages of Copyright Registration? 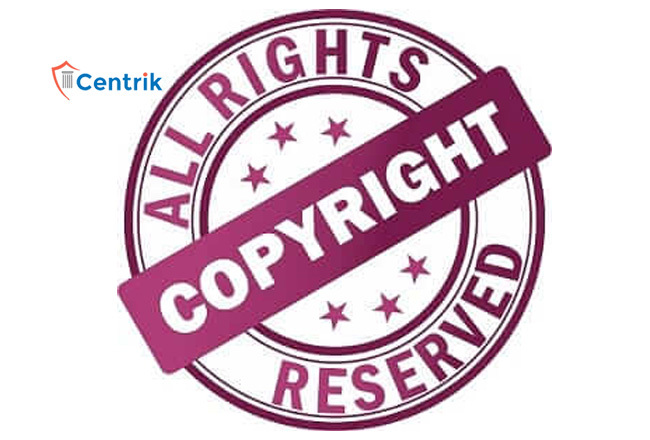 CentrikBlogsBusiness AdvisoryRegistration And ComplianceDo you know the Advantages of Copyright Registration? Copyright Registration confers upon its owner sole rights to copy or reproduce the work or grant permission to another to do so. The applies to literary (books, scripts, even software) and audio-visual (music, photographs, movies) works. Copyright is usually owned by the creator of the work, but may also be owned by the employer of its creator or the person who has commissioned the work. Copyrights are also transferable. The moment an author produces a unique work in a tangible medium, he becomes the proprietor to have a copyright over the product but that has to be registered in the office before it is being used in the public medium, just so he can refute claims of others over his/her subject and continue to enjoy his hold over it. It creates a public record that the author is the sole owner of the entity that has been copyrighted. It enables the copyright holder to take legal action in cases where he thinks that there has been an infringement upon his work. If the copyright holder seeks legal remedies and files a complaint before the publication of the plagiarized work, the copyright on his work enables him enough evidences to produce in court in support of his argument. It arms the owner to register his work with the Indian Customs so that in future, if there is a case related to the import of the infringed work, he can make a case against it. Of all the good work that copyright protection does, the best one is that it keeps the authors motivated to invent unique intellectual ideas by giving them a sense of protection from infringement. In absence of such security an author might feel discouraged to think about things which are easily accessible to the public and can be copied in one form or the other. Thus encourages individuals and companies by creating a favorable environment for them. It ensures economic stability for the creator by allowing him to reproduce his work or art in whichever form he deems it necessary, be it reproduction of an already existing work or translating it from one medium to another. The author of the work, once he has copyrighted the work, is free to create any derivative work from the copyrighted work. The author, under all circumstances, is free to sale his work to some other party and pass on the copyright to the subsequent buyer. Once copyright is ensured on one form of the work, it stands true for any other form of work of the same art. For example, if the original form of the work was in written form and if a person wishes to reproduce it in audio-visual, he will have to sought the permission of the author of the work.